Even when your septic system is safely in the ground, your days of dealing with it are not done. For one, a septic tank will need to be maintained—which mainly boils down to having it pumped every few years. This keeps the sludge at the bottom from rising so high that it spills into your yard. This is why the Environmental Protection Agency recommends having your septic system pumped once every one to three years. The price range for pumping the tank is $300 to $400. At the very least, have your tank checked to see if it needs to be pumped. This is not the kind of thing you want to let slide, unless you want a sewage plant in your backyard. And there are ways to save on maintenance: Just use less water by installing low-flow toilets and not running the water more than necessary. And in addition to researching the costs of installing and maintaining a home septic system, be sure to review and understand all your local laws and regulations involving wastewater treatment and related issues. For more information, visit EPA.gov.septic or contact Morse Engineering and Construction. How do you tell if there's a problem? Here are the signs your septic system's got an issue and it's time to call in the pros. 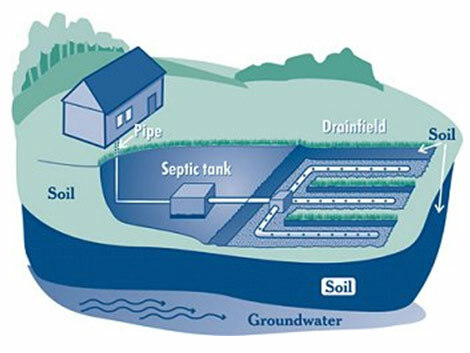 After dirty water and waste enter your septic tank, solids get separated from liquids. The wastewater is eventually pushed out into a drain field, a series of underground trenches or chambers. Once there, any harmful bacteria gets absorbed by the soil or digested by naturally occurring microbes. But if your tank receives lots of water very fast—either because of heavy rain or maybe you're using much more water than normal—the tank or the drain field can become overloaded. The most common reason people call a plumber about their septic tank is because it is too full. Another likely reason that water's backing up into your home: a clogged distribution line somewhere between your house and your septic tank. Maybe you've got a small kid who happily flushed a sock down the drain, or you're guilty of tossing things like not-so-flushable wipes in your toilet. Be proactive: Keep an eye on your water usage. Take short showers, install low-flow toilets, and wash laundry over a few days rather than all at once. Don’t flush diapers, paper towels, or feminine hygiene products—basically anything non-biodegradable. You should also limit the amount of food you put down your garbage disposal. Yes, it gets ground into tiny pieces, but over time, food waste can also end up clogging your drain field. Surprisingly, dying grass on top of your septic tank isn't necessarily a bad sign. (The soil on top of your septic tank often isn't as deep as it is over the rest of your lawn, which makes it easy for grass there to get parched.) But it is a red flag when the grass atop your septic tank is thriving far more than anywhere else in your yard. While the area might look green and lush, it's a strong signal that you have a big problem. That could be due to a leak of effluent, aka liquid wastewater, before it hits the drain field. Once it escapes your septic tank, it basically acts as fertilizer. Be proactive: Get your septic system inspected each year, and pumped every three to five years so you can catch problems like damaged pipes, rust damage, and cracks in your tank early on. Be proactive: If you want to plant a tree, figure out how tall it will be at its maturity—then keep it that many feet away from your system. (That includes the actual septic tank, all pipes, and the drain field.) For instance, if you have a tree that will one day be 20 feet high, plant it at least 20 feet away from all components. Some trees—like bamboo, pine, and walnut—put out even more aggressive roots and will need to be planted much farther away, so consult your septic pro before you break ground. Already have trees in the danger zone? Each time your system's serviced, make sure the pipes aren't compromised. If there’s a problem a camera can be sent into the line to see if tree roots are to blame. Occasionally, a high water table or excessive rainfall can saturate the drain field and prevent the septic tank from draining properly. If you're pretty sure heavy rains are to blame for little lakes in your yard, you can try to give your septic system a chance to catch up by using it less. (Finally! A reason to not do laundry!) But if that doesn't get rid of standing water, call a plumber. Be proactive: Direct rainwater runoff away from your drain field. Make sure your waterlines are at least 10 feet from your septic system. If you have a sprinkler system, make sure approved backflow devices are part of it. Be proactive: If you have a persistent odor inside your home, the first course of action is to check all exposed fixtures, and if nothing is found, it should be followed up with a smoke test to find leaks in the lines. Slow drains are an indicator that there's a stoppage on the pipe itself that flows into the septic. And while you might be tempted to pull out the Drano or another drain cleaner, don't. Harsh chemicals can deteriorate your pipes over time. Plus, chemical drain cleaners can kill the good enzymes and bacteria in your tank that help to break down waste. Be proactive: Use a natural product with bacteria and enzymes; the accumulated gunk inside your pipes is tasty food for them. They digest the waste and spread throughout your system, cleaning it completely. And it’s completely septic-safe. You have a septic system but that doesn’t mean you are an expert on it. But septic experts want you to know a few things; and mostly for your own sake. A little knowledge can go a long way toward preventing massively expensive (and massively gross) issues down the line. What you have in your backyard is your very own water disposal plant. When you live in the city, waste] goes away and you don’t think about it. It goes to a municipal plant and all kinds of great things happen to it. With a septic system, all that happens in your backyard. To give you the basics, everything that goes into your tank naturally separates into three layers. Anything heavier than water goes to the bottom, anything lighter goes to the top, and there’s a nice, clear liquid in between. Over time, the sludge at the bottom gets thicker and thicker. And that’s why you need a good inspection—and pumping—every now and then. It’s like changing the oil in your car. You just have to do it. Correction: You can, but it’s not a wise idea. Everything that goes down your toilets, as well as your shower and sink drains, makes its way into your septic tank. If it can’t physically travel through the pipes, you’ll have a major clog on your hands. The list of what not to flush encompasses more than you might think. For instance, you should not flush thick paper down the drain at any time. That includes feminine hygiene products and baby wipes. Doing so can cause costly repairs. The septic tank and field lines are typically installed in areas near the home, and it’s very important that every homeowner knows where they are. That way, you can prevent driving over it with vehicles or equipment, which can crush them and prevent them from operating properly. You’ll also want to avoid planting trees or bushes over or near the area. Effluent—the wastewater that leaves your septic tank to be slowly dispersed underground—contains rich organic matter. The roots will seek out those nutrients. And in doing so, those roots could easily wrap around the pipes of your septic system, setting the stage for disaster. Your septic system is responsible for distributing and disposing all of the water that flows through your household. To put that in perspective the average person will use up to 70 gallons per day. If you can reduce that number, you’ll reduce the amount of wastewater your system has to deal with. To do that, consider replacing your standard-issue toilets with high-efficiency ones. That's because regular toilets use up to 20% to 30% of the water your household consumes. High-efficiency toilets can cut that water usage in half. You’ll also make a difference by waiting to run your washing machine or dishwasher until they’re full, and switching to low-flow shower heads and faucets. Reducing the flow even a little will save you thousands down the road in expensive septic repairs or replacements. If you neglect to take care of your septic system, it’s not just your pipes (or your family) who’ll suffer. Failing septic systems can pollute nearby bodies of water and contaminate local drinking water. In fact, the second most-cited contamination source of groundwater is septic systems. To make sure your system isn’t one of them, perform preventive maintenance regularly—and frequently. The average household septic system should be inspected at least every three years and typically needs to be pumped every three to five years. This blogs provides information for home buyers who are buying a property with a private septic system, that is, a septic tank and a leach field or drainfield or similar soil absorption system. Be sure your septic inspection and septic test are conducted properly. While no septic inspection and test can guarantee 100% that all septic defects have been found, properly conducted, septic inspection and testing procedures can reduce the chances of a dangerous or costly surprise at a property served by an onsite waste disposal system. When buying a home with a private septic system, septic tank and leachfield, at a minimum you should always do the following. Basic Questions: Ask the seller the following questions. Don't worry if the seller says they don't know the answers. "Not knowing" is also important information. Is the property occupied or vacant? If occupied, for how long and by how many occupants? If vacant, for how long? Where is the septic system? Tip: if the owner has been at the property for years and does not know where the septic tank is located, they have never pumped it - which looks bad for the leach field. On the other hand, if they know exactly where it is and if it has an easily-opened access cover, you might wonder if it's being pumped unusually often - which could also be a telltale. This means: is it a conventional tank and drain field? Is the tank concrete or steel? How big is the tank? Are there separate drywells or seepage pits? If so the owner may have had a concern with the capacity of the leach field. What is the service or repair history of the septic system? If the system has received regular pumping that's good. If it has never been pumped, you should be pessimistic about the remaining life of the leach field. If a new tank has been installed but connected to old fields you should be pessimistic about the leach fields. If everything was installed new last year, you may be a lucky buyer. Warning: if the seller offers to "have the tank pumped for you" ask them not to do so before your inspection. Pumping the tank prevents testing the drain field. You should also ask for any drawings regarding the actual location (an "as-built drawing) of the existing septic system. However while you should ask for drawings and records, you should never completely trust them. 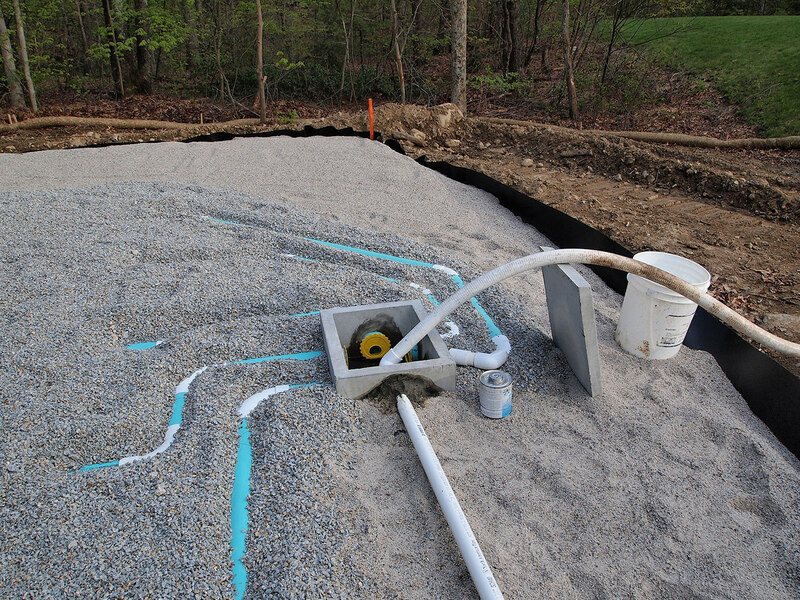 A septic system may not have all of its components installed just as they were placed on a drawing. The excavator could have hit bedrock or other obstructions and moved things a bit. Has the septic tank been pumped at a frequency of at least 3 to 5 years? ; What pumping contractor was used? ; If the system contains a pump. how often has it been maintained? ; If major repairs have been made, when and to what extent? Ask about the past performance of the system. Have any of the symptoms described earlier manifested during the life of the system? 1.Home and business owners should pump out their septic system regularly. Also, it is relevant for home and business owners to adhere to the regular pump out schedule during or before the winter kicks in. 2 If there are trees or any hardwood kind of plants that are on top of the septic system, don't hesitate to remove them. It is nice to have a garden however; homeowners must ensure that the plants are away from the septic system. The roots of high and hardwood plants are known to be invasive. They could penetrate the system, and then barricade the normal stream of the wastewater treatment procedure. 3 Toilets and drains should not be treated as garbage cans. Thus, home and business owners should dispose the waste correctly. It is a no-no to dump non-biodegradable materials and greases in the drains and toilets. 4 Whenever they clean the toilet, it is not advisable to use very strong chemicals. Such chemicals will just kill the resident bacteria in the septic system. If there are no resident bacteria, then wastewater treatment is not possible. Instead, home and business owners could utilize eco-friendly cleaners. 5 Put an excellent layer of mulch on top of the septic system. This must be done especially if the septic has a busted plant cover and if it is susceptible to freezing. Pump out your septic tank on a regular basis. Follow your regular pump out schedule for your septic before or during winter. This will eliminate the accumulated sludge in the septic tank. When the sludge is removed regularly, solid waste particles will not flow into the drain field and clog the entire system. Remove trees and other hardwood plants over or near your septic system. Having a garden is great but make sure that you plant away from your septic. Roots of hardwood and higher plants are invasive. They penetrate into the system and block the normal flow of the wastewater treatment process. Roots also damage the components of the septic, resulting to wastewater leaks, backups, overflows, and flooding. Do not treat your drains and toilets as garbage cans. Dispose of your waste properly. Do not dump grease and non-biodegradable materials into your toilets and drains. These substances cannot be broken down by the resident bacteria. As a result, they will only accumulate and clog the system. Do not use harsh chemicals for cleaning. These chemical compounds kill off the resident bacteria. Without bacteria, there will be no wastewater treatment at all. Use eco-friendly cleaners instead. Refrain from driving over your septic or from building any structure over it. The heavy weight of these structures and vehicles will result to snow and soil compaction, which presses the snow into the ground more. Place a good layer of mulch over your septic. You can do this if you know that your septic has poor plant cover and is very prone to freezing over. You can do this by using your dishwasher and washing machine alternately, not using the tub every day, and taking showers. Your septic system is an indispensable component of your entire property. Care for it well so that you will have it functioning optimally during winter. As a home or business owner, you know that there are various components that need to run smoothly and safely in your property. One of the main things to consider is your septic system. A home and a business has a wastewater treatment system of their own. The septic system is your cleaner and sanitizer for your location. It isolates the toxic raw wastewater from your living environment. It makes sure that your household stays safe and healthy. Your septic is responsible for collecting, treating, and purifying the produced wastewater before it releases it into the surrounding environment again. With the help of your wastewater treatment system, you don't wade in filth, get sick, or have contaminated drinking water. This is why you have to make sure that your septic is functional, even during winter. Harsh cold weather can take a toll on your septic. Your job is to help it do its work efficiently, even if the snow sets in. No protective cover from snow. Your septic system needs an insulating cover or blanket. The tank and the drain field, mound, or trench, should all have this cover to trap heat inside the system. As you know, there are resident anaerobic bacteria in the septic tank that break down the solid waste materials and treat the raw wastewater that your household produces. The heat maintains a high level of metabolism among the bacteria. If you don't provide a good snow cover, the frost will go deep into the septic components, eventually freezing the entire system. Soil compaction. This is caused by placing heavy vehicles and structures over the septic system. When this happens, the septic underneath freezes more easily, resulting in damaged septic parts and eventually a failed system. Snow compaction. Snow that is compacted insulates poorly. When you drive over the septic, you compact the snow and this pushes the snow even deeper into the septic. Always use insulated pipes in your septic so that your septic system will still be insulated, even if you drive over your septic in the winter. Long intervals of not using the septic. This often happens to various cabins or homes that are not always used during the weekend. It also takes place in homes where there are only one or two inhabitants. Wastewater does not enter the septic system regularly to prevent it from freezing. Not enough plant cover. 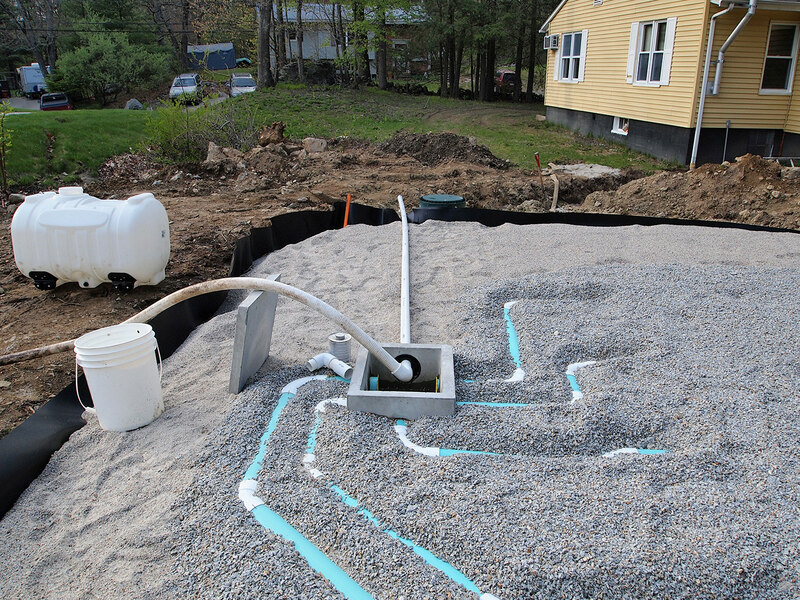 This usually takes place during the fall when there are new septic systems installed. Not enough plant cover is established before winter. The vegetative cover helps insulate the septic and also aids in holding the snow. Leaks in the plumbing system. If there are leaks, the small amounts of water that enter the septic will easily freeze the system over. The water discharged by humidifiers and furnaces also add to the moisture because of the discharge that they release in small amounts. Poor drainage in the pipes. When pipes are deteriorated, full of back-filled soil, or poorly installed, water tends to accumulate on one side and this liquid freezes over. Make sure that the wastewater drains out of the pipe. System is waterlogged. The septic becomes water logged when it is failing hydraulically. The water that goes to the side will freeze and this will prevent the next batch of wastewater from being treated. Lack of snow cover and dropping temperatures can spell trouble for homeowners with septic systems. 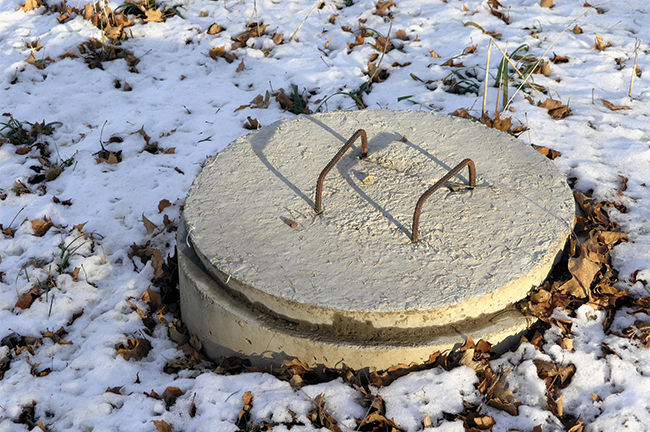 Snow helps to insulate septic systems and keep them from freezing. Unfortunately, a lot of our snow cover has melted and temperatures across the state are dropping. Place a layer of mulch 8 to 12 inches thick over the pipes, tank, and soil treatment system to provide extra insulation. This can be straw, leaves, hay or other loose material that will stay in place and not become compacted. This is particularly important for new systems that were installed so late in the year that vegetative cover didn't get established. However, if the system is currently frozen, don’t add mulch now; it will delay thawing in the spring. Use water—the warmer the better—if you’re worried your system is starting to freeze. Spread out your laundry schedule so you run one warm/hot load a day. Use the dishwasher and take hot baths. Do not leave water running all the time—this will overload the septic system. Going away for an extended period? Have someone use warm water in the home regularly or pump out your tank before leaving. Fix any leaky plumbing fixtures or appliances in your home. This will help prevent freezing problems and help your system perform better all year. Keep all vehicle, animal, and people traffic off the system. This is a rule to follow all year as compacted snow and soils cause frost to go down deeper and faster. Pay special attention to the area between the house and tank. Keep an eye on your system. If any seeping or ponding occurs, contact an onsite professional to help determine the cause and remedy. Add more insulation to your system. This could include replacing pipe with insulated pipe, adding expanded foam panels over septic tanks, or adding more soil cover. If your septic system freezes, Morse Engineering and Construction. Other methods used to fix a freezing problem include adding heat tape and tank heaters. Cameras can be sent down pipes to determine where freezing is occurring. If the soil treatment system is full of ice, or there is evidence of leaking, skip trying to thaw the lines leading to the treatment area as it cannot accept liquid until the area thaws in spring. If it’s not feasible to correct a problem, the only option is using the septic tank as a holding tank until the system thaws naturally. Contact a pumper to empty the tank when it starts to fill up. In this situation, reduce water use by limiting the number of toilet flushes, taking short showers, and using the dishwasher at full capacity. If you have a septic system, it’s important to know what you should and shouldn’t do around that area of the yard and indoors. There is a possibility of a septic system freezing, especially in cold areas with little snowfall. Follow these tips to reduce the chance of costly and stressful damage to your septic system this winter. Repair leaky fixtures. Dripping sinks, showers, and toilets can result in ice forming in the pipeline between your house and septic tank. Use hot water. Having warm water flow into the tank regularly will help prevent ice buildup. Pamper yourself with a long bath or shower with the knowledge that you’re helping the septic system! Keep up the lawn. A healthy, thick lawn of grass or other foliage will help insulate the soil that contains the septic system. Spread mulch. Place an 8-12 inch layer of straw mulch on top of and around the pipes, tanks, and drain field of the septic system. This will further insulate the ground and help prevent the soil from freezing. Secure the system. Make sure the tank and pipes don’t have any cracks in them and any caps are still securely in place. Any openings can let cold air into the system. Keep cars away. Never park any vehicles on top of your drain field. 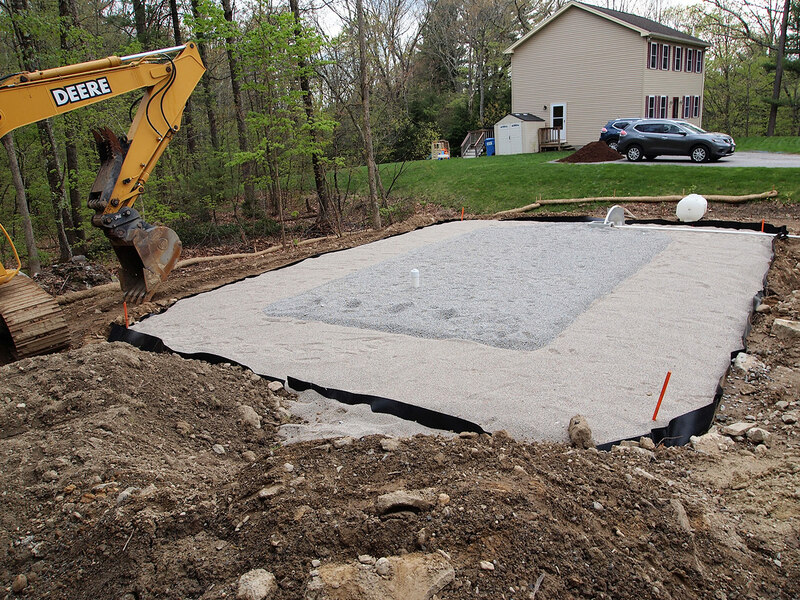 Cars will compact the soil above the septic system, which makes it easier to transfer cold below. They will also prevent insulating snow from covering the area. Sagging pipes. Pipes that have settled into the ground unevenly will cause water to pool and possibly freeze. Insulation installation. A sewer professional can install more extensive insulation around the tank and pipes. Draining the system. A septic tank and pipes periodically need to be pumped and cleaned out. You should leave this task to a professional. Waterlogged drain field. Older septic systems can cause the drain field to become flooded. In this case, consult with a professional to see what can be done in your particular situation. Keep your septic system in good shape by getting it checked regularly. In the meantime, keep these tips in mind to help prevent freezing and damage. For more information on septic system inspection and repairs, contact Morse Engineering. If properly designed, constructed and maintained, your septic system can provide long-term, effective treatment of household wastewater. If your septic system isn’t maintained, you might need to replace it, costing you thousands of dollars. And if you sell your home, your septic system must be in good working order. You should have a typical septic system inspected at least every 3 years by a professional and your tank pumped as recommended by the inspector (generally every 3 to 5 years). Alternative systems with electrical float switches, pumps, or mechanical components need to be inspected more often, generally once a year. Your service provider should inspect for leaks and look at the scum and sludge layers in your septic tank. If the bottom of the scum layer is within 6 inches of the bottom of the outlet tee or the top of the sludge layer is within 12 inches of the outlet tee, your tank needs to be pumped. Remember to note the sludge and scum levels determined by your service provider in your operation and maintenance records. This information will help you decide how often pumping is necessary. What Does a Septic Inspection Include? Checking for signs of back up. Measuring scum and sludge layers. Pumping the tank if necessary. For more information on Septic Tank Inspections, contact Morse Engineering.